The City desired to bring diverse infrastructure management programs into a GIS-data platform that would allow them to access, manipulate and perform spatial analysis across multiple programs. 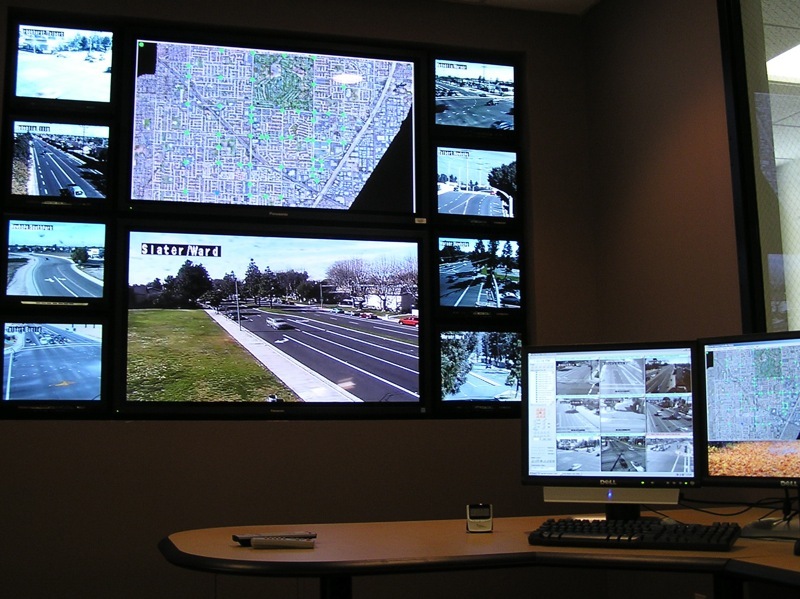 This was a large undertaking and involved numerous departments such as Public Works, Maintenance, City Manager, Information Systems, and Traffic. Bucknam & Associates served as the prime on the project. Our first goal was to identify the current state and quality of the data that the City had been collecting and archiving over the past 10 years. The City had a tremendous amount of sewer, storm drain, water, census, tree, and historical record improvement data that they wanted to bring together. We built a methodology and eventually linked all the infrastructure programs mentioned above to the City's centerline system. No end-user software had to be purchased and installed on staff computers; all GIS data is accessible through the use of Internet Explorer. 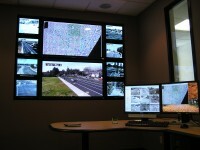 With the installation of XY Maps upon the City's ArcIMS, the City has the ability to toggle on and off specific infrastructure layers based upon their work activities. Staff can query and find essential data by searching using the address, street name and cross streets, APN, maintenance zones, etc. As shown below, the user has searched for water infrastructure data and has a list of data results to view. Additionally, for this project our staff scanned all hanging improvement plans that the City has had archived for years. Our staff then built a detailed record retention database from the scanned improvement plans with the goal of linking each individual scan and set of plans to the GIS. Our team reviewed, assessed and cataloged essential data from the City's CIP, tract, parcel, grading and street improvement plans and linked them to the GIS through the centerline files and surrounding polygons. This now allows City staff to not only query the XY Maps system for water, storm drain, sewer, tree, census and pavement data but provides them a dynamic link to individual and sets of improvement plans associated with each street segment or parcel(s). 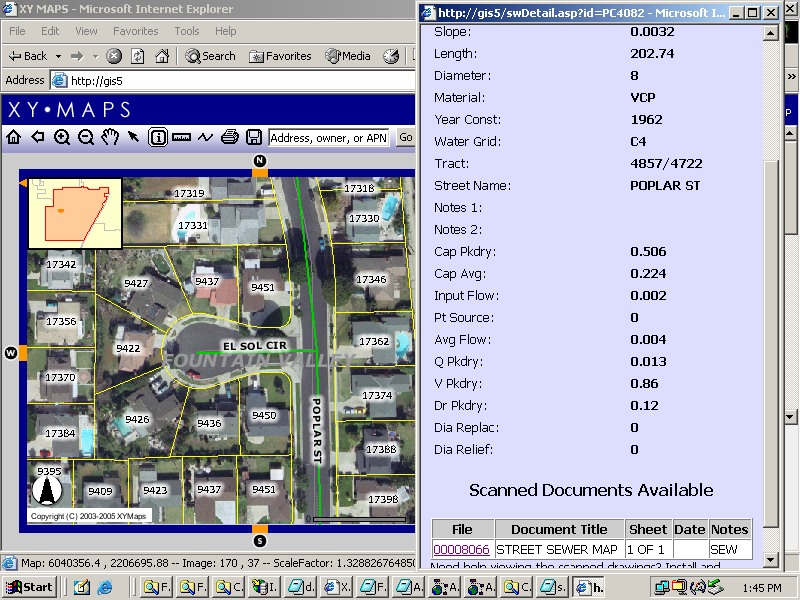 As shown below the user can review the static data within the information box but has the ability to hyperlink to the scanned drawings associated with the street, parcel, track, water lines, etc. "Peter Bucknam is extremely focused and energetic...His emphasis on client satisfaction and follow-up has resulted in a backlog of repeat business as well as new clients from word-of-mouth referrals. No stranger to technology, he eagerly tackles challenging projects to bring real-time solutions to various public agency clients."